Pre-roll will be fitted with a toggle on the bottom that will allow users to choose how much Spanish is spoken. Buttons on cable remotes will be programmed to let users choose how immersive they’d like to get. Three postcards attached together will be sent out. Each with the same soft writing prompt in English, Spanglish, and Spanish. Allowing people to choose how much Spanish they’re ready to send out just by selecting and tearing. We’ll create a new Alexa skillset. 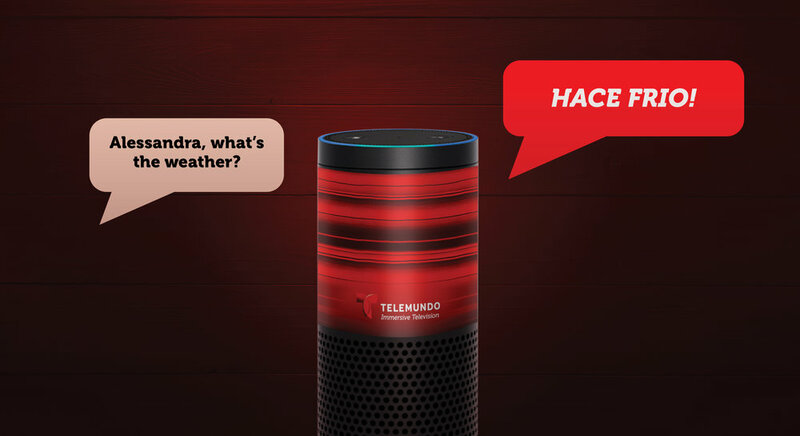 Once downloaded, when users call out “Alessandra” instead of “Alexa”, the voice will respond back in Spanish. Dialing the top will allow people to adjust how much Spanish is spoken. 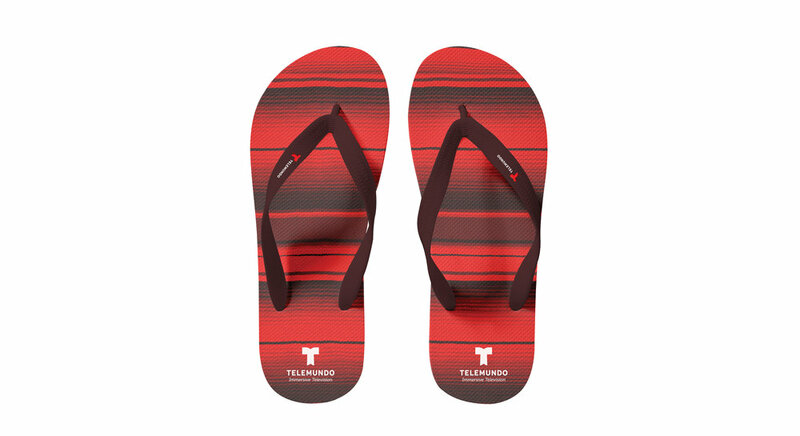 Patterns with traditional Latino patterns will be printed on Alexa Skins. 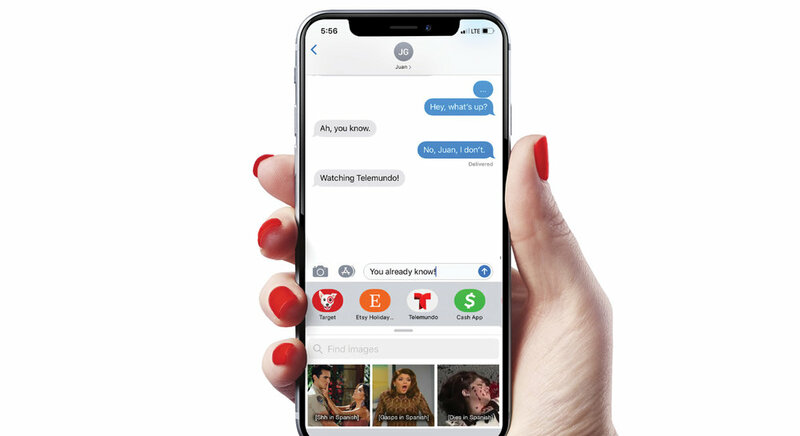 Because communication is more than language, we’ll roll out the Telemundo Messaging Gif Bar. Like our programming, each Telemundo Gif will let you select how much Spanish by holding down on it. Everyone knows the universal language is swag. So we made some.